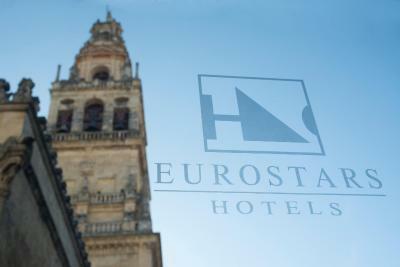 Lock in a great price for Eurostars Maimonides – rated 8.5 by recent guests! I like the room with the view. But the bathroom is uncomfortable. The toilet sit is facing the washer and you need to squeeze your self to sit in the toilet. I liked it mostly the location, services around the hotel like restaurants and shops, and the centre is just walking to reach it. 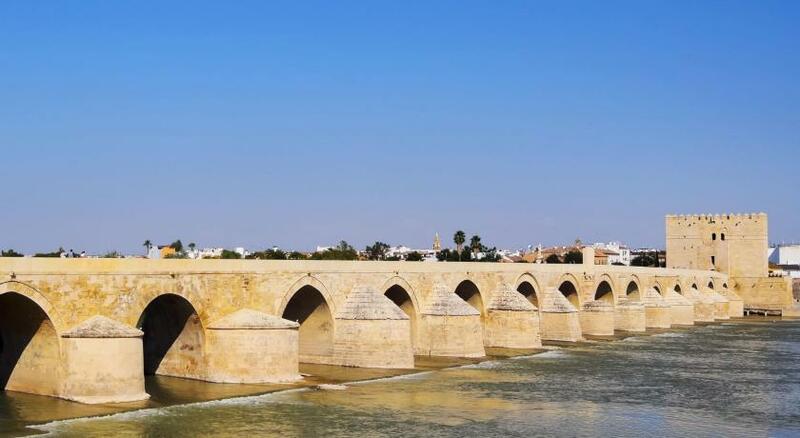 The most important is behind the Cordoba Mosque (Cathedral mezquita). And the staff are friendly and helpful. The room is comfortable and furniture well. Location, location, location. Great location, good rates, nice rooms. 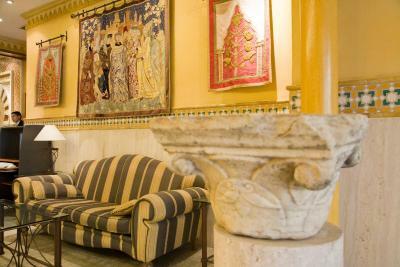 The room was comfortable- hotel on a main square, worried about noise, but everything was quiet by 10pm-right across from La Mezquita and easy walk to other spots. To be honest, i really like everything about this hotel, staffs are nice and speak in english, location is amazing! 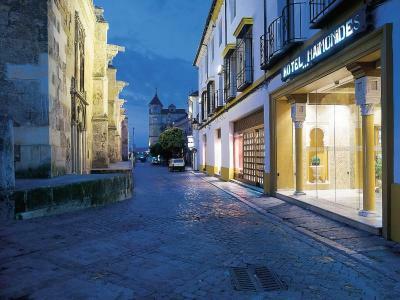 At the center and literally by the Mosqueta Cathedral de Cordoba And the famous bridge, room is spacious and clean, breakfast is complete, and offered at a really great price i have to say. Best option! 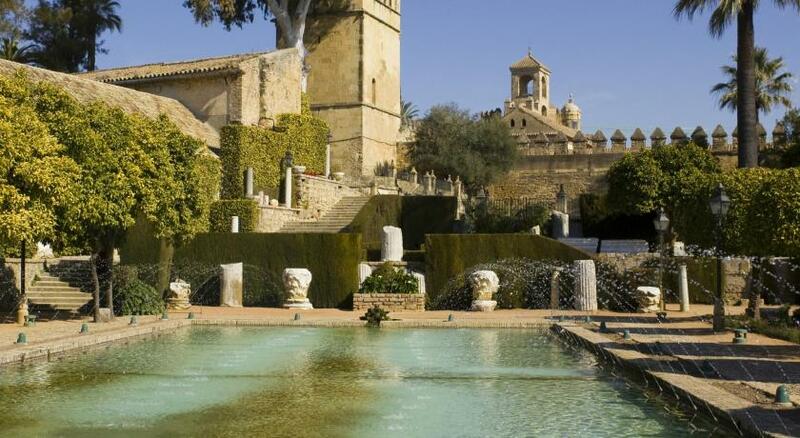 It is so, so close to the Mosque of Cordoba, I mean “in front of” literally. Location was ideal. Had a great view of the Mezquita/Cathedral from my room. Hotel was very clean. Staff was very friendly. Centrally located in Old Jewish Quarter. Very affordable. 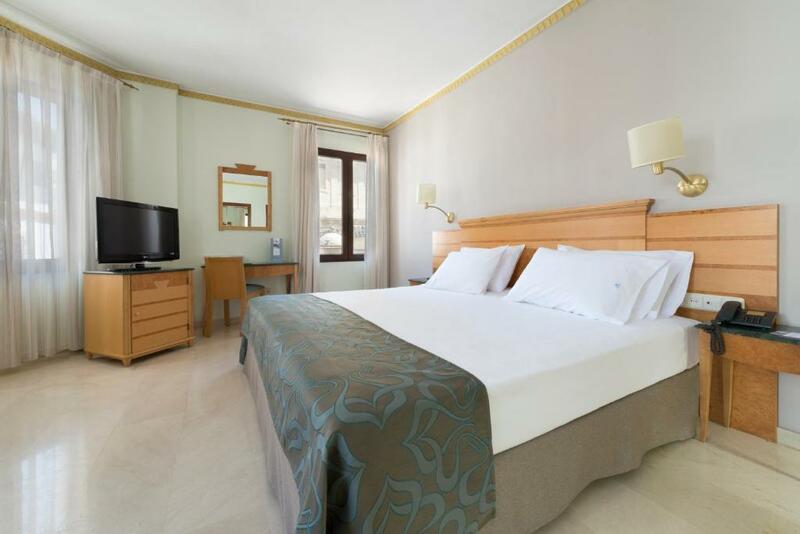 Eurostars Maimonides This rating is a reflection of how the property compares to the industry standard when it comes to price, facilities and services available. It's based on a self-evaluation by the property. Use this rating to help choose your stay! 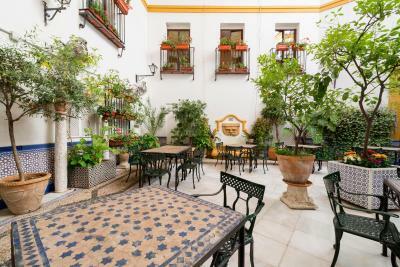 One of our top picks in Córdoba.Facing Cordoba’s famous Grand Mosque and in the heart of the Jewish Quarter, this elegant hotel has a traditional Andalusian patio and free Wi-Fi. The air-conditioned rooms all have satellite TV, and many have views of the Mosque. 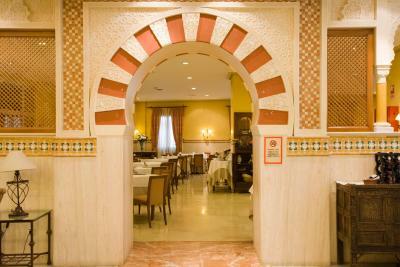 The Eurostars Maimonides is just a 5-minute walk from the Congress Palace and Roman Bridge. The hotel features on-site secure parking, subject to request. 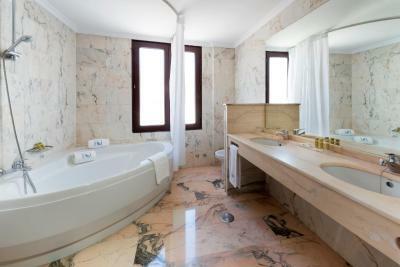 The light, spacious rooms in Maimonides Eurostars all have marble floors and modern bathrooms. They also have minibars and safes. 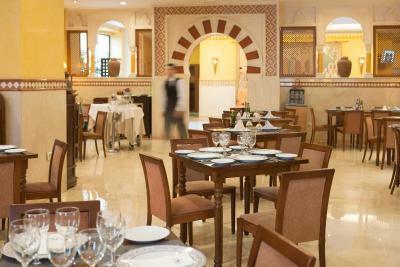 The hotel’s Azahara Restaurant has typical Andalusian and international dishes. 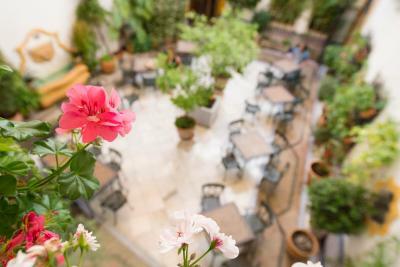 Guests can also dine on the patio, with its fountain and flowers. 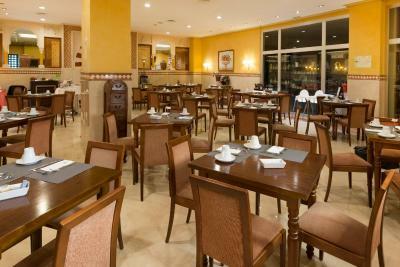 There are plenty of bars and restaurants located within walking distance of the hotel. 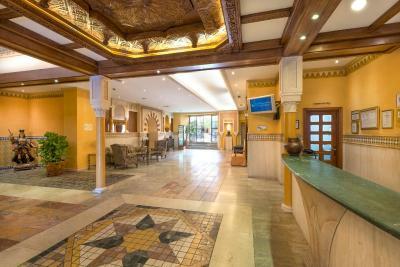 When would you like to stay at Eurostars Maimonides? This bright, air-conditioned room offer free WiFi, satellite TV, a safe and a mini-bar. The private bathroom comes with a hairdryer. 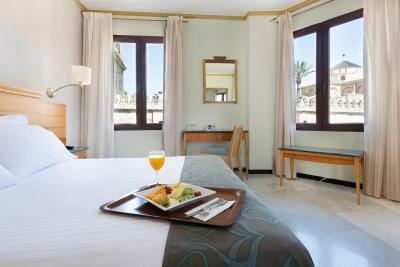 This bright, air-conditioned room offer free WiFi, satellite TV and a mini-bar. The private bathroom comes with a hairdryer. 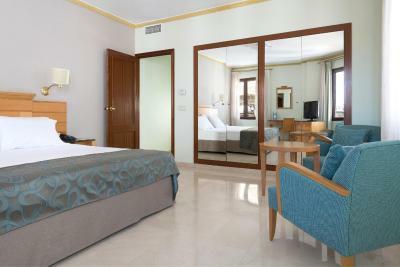 This bright, air-conditioned room offers free WiFi, satellite TV and a mini-bar. The private bathroom comes with a hairdryer. 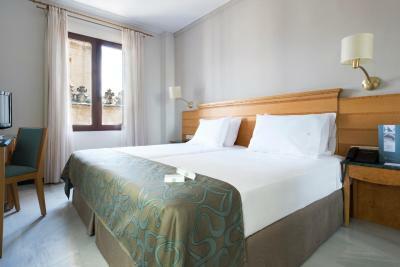 This bright, air-conditioned room has free Wi-Fi, satellite TV and a minibar. 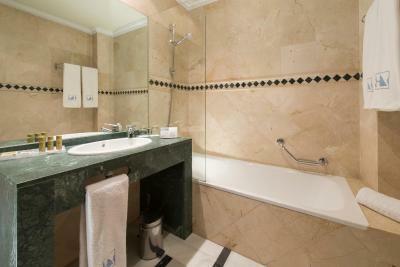 The private bathroom comes equipped with a hairdryer. Many rooms have views of the Mosque. 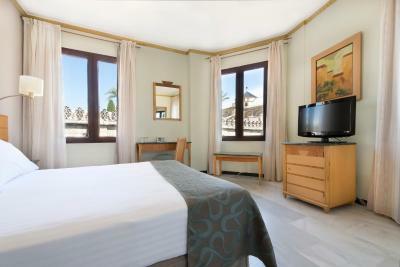 This bright room comes with 4 beds, air conditioning, free WiFi, satellite TV and a mini-bar. The private bathroom comes with a hairdryer. House Rules Eurostars Maimonides takes special requests – add in the next step! Eurostars Maimonides accepts these cards and reserves the right to temporarily hold an amount prior to arrival. Please contact the property to get instructions to arrive by car or public transportation. We were not told ac was not working... instead of chill the room it was heating it up. When we asked they said ac was not working for the whole hotel. Why not tell us on check in! Was so hit we had to leave window open... but there was a noisy procession until 1am. No apologies or fan or water. Avoid this place! Good location and parking space. Dated rooms. No airconditioning - which is a bit limiting given the heat. Facilities are a bit lacking - the bar is in the coffee shop next door and shuts early. There are much better options in the town - choose one of those. The hotel itself was noisy inside, you could hear people in the corridor not just the normal luggage being wheeled along etc but people running around shouting and being really loud - I think there may have been a school group staying. The staff were excellent efficient and helpful with tips for getting around the city. We were offered a room with a view to the Cathedral (we were advised it might be noisy) or hotel courtyard, we took the cathedral view which ended up being of the lovely ancient wall it was interesting with the old city street view. Loved the fact you could make a cup of tea or coffee in the room and parking is on site very easy to access and good value. Breakfast was well worth the cost and the coffee shop next door was a great place to hang out while we waited for our room. 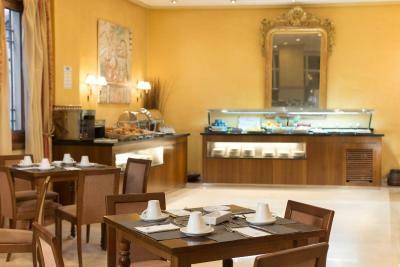 Reception staff were very good, and staff in breakfast room. Location excellent. Gives you a feel of being in a historical place. Lovely sitting area in main lobby. We were only there for 1 night so it didn't bother us too much, but the hotel needs to be soundproofed, there was a lot of noise coming from the corridor outside the room every time someone walked past. Beautiful design in the lobby which matches the mosque just across the road. The location is perfect for exploring the city. Staff were incredibly helpful and gave us a map, pointing out the best places to see in the city. Nothing - everything was just really good. In spite of a bad feeling when I accessed the city centre, because it was a restricted area, I was utterly surpised that the police would take no offence at all and the parking in the underground car park was for free. That has never ever happened to me before, in Spain. The room was excellent, enough spacean the facilities were all good. 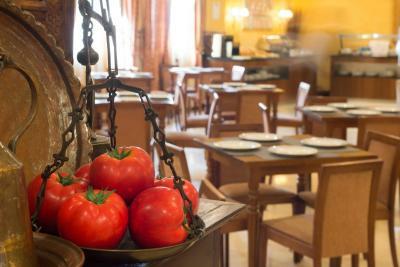 The breakfast was excellent, as was the service and the central location. Staff tried to charge us 2 extra nights instead of 1. They acted pretty rude, when they finally understood their mistake they apologized. Our room was on a pretty loud side. The tourists walking outside the window made it very hard to rest. 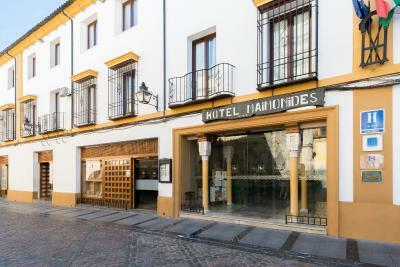 The hotel is in the old town with garage, you can reach sightseeing spots easily on feet. 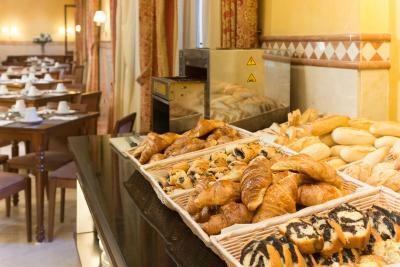 Their breakfast is sooooo good, the best breakfast we have during our trip in Andalucia. The wifi!! It was useless; would go from working to not working and the staff kept insisting it was working! 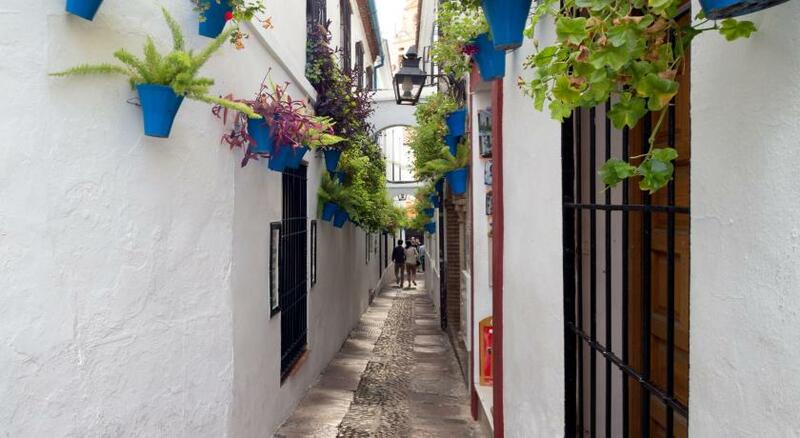 Also, the parking at the hotel is not really available as the hotel is located in the pedestrian zone requiring a very long, bumpy walk (with luggage) from the nearest public lot. Ugh! The location was great. The bed was comfortable with plenty of pillows (as we had requested). The lighting was excellent (no low wattage bulbs) especially in the bathroom. 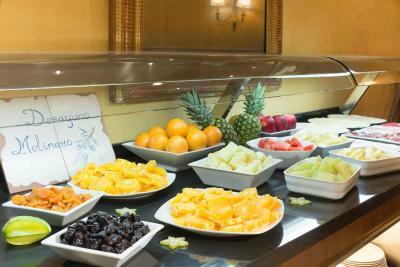 The breakfast had lots of selection.